Hello! I’m Libby, the newest digital marketing strategist at Adster. It’s been quite a ride with everything I’ve been learning about Adwords and SEO, but I’m thrilled to be part of the team! During my Adwords training, I spent a lot of time searching local businesses on Google to see which of them were running Adwords and if so, what their campaigns looked like. One day, I came across an ad for my dental office and noticed they had a location extension running with the address to only one of their eight locations across the city. Location extensions appear below the standard ad text and can show a business’ address, phone number and hours. When a business has multiple locations (and thus, multiple location extensions in Adwords), Google chooses which location to display during a search, based on the searcher’s location and possible intent. If I was my dental office, I would want to make sure that new customers were seeing that they could choose from eight different locations to find the one that is most convenient for them. So how do you let users know that you have more than one location? Let me tell you! Sitelink extensions are additional links that appear below your standard text ad that link to specific pages on your website. At Adster, we use sitelink extensions to direct users to the different contact pages for each location a business has. Below is an example of one of our clients. 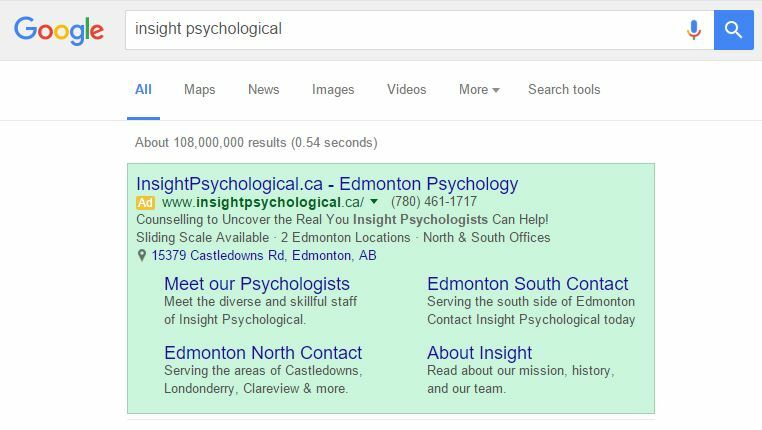 They are a psychologist’s office, and they have two locations here in Edmonton: one on the north, and one on the south side of the city. As you can see, in addition to using sitelink extensions to link people to each location’s contact page, we also used a callout extension to highlight that there are two Edmonton locations. This way, even though a user might see the location extension of only one location, it’s easy to understand that this is not the only location in the city. These three ad extensions work together to give as much information about the two locations to a user. 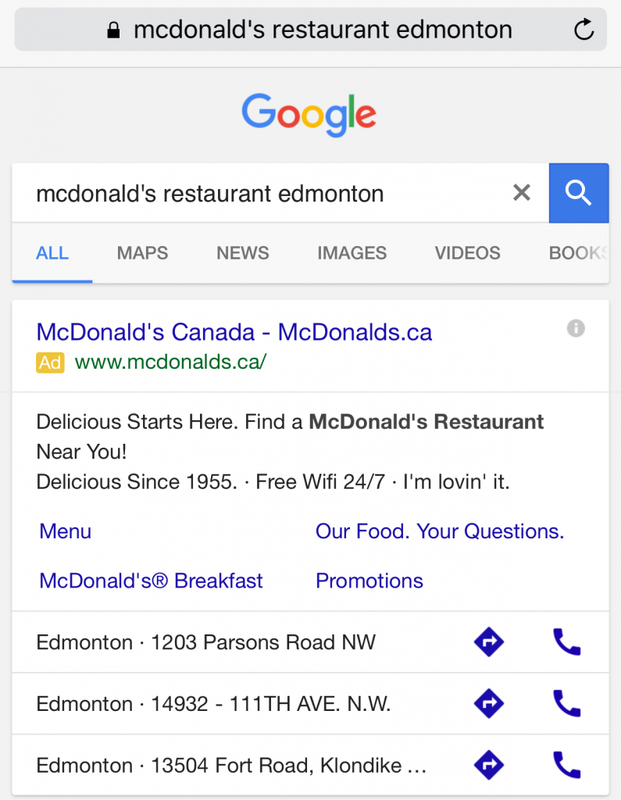 How do you use ad extensions to maximize marketing multiple locations of a business? Let us know in the comments below!